Microsoft is switching to the Resilient File System for Windows 8, but only the server edition will support the new and more robust file system. 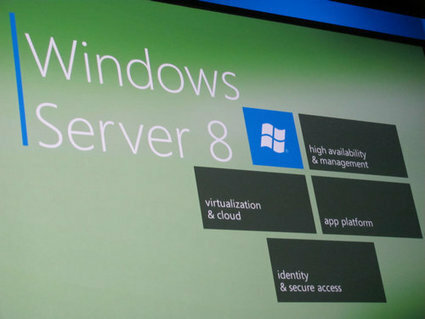 While Windows 8 client machines will continue to use the NTFS filesystem. ReFS is meant to maintain compatibility with the most frequently-used features of NTFS, including Bitlocker encryption compatibility, Access Control Lists (ACLs) to control permissions, change notifications, symbolic links, and others, while shedding legacy features and picking up new ones to make it more useful and versatile on today's drives. Also, in its current state ReFS cannot be used for removable media, or for any partition used to boot Windows – it is purely a file system solution for data storage right now. 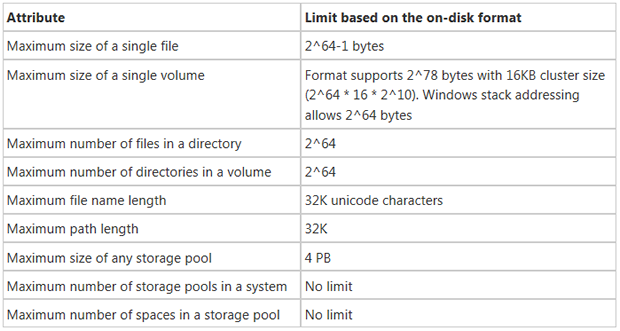 Windows 8 clients will be able to access and read ReFS partitions from launch though. providing resilience when used with Storage Spaces. However, this file system is not compatible with removable media and cannot be used for the booting of an operating system. It is just made for storage, for the time being.